This is a legal tackle, but good lord, it looked painful as hell. 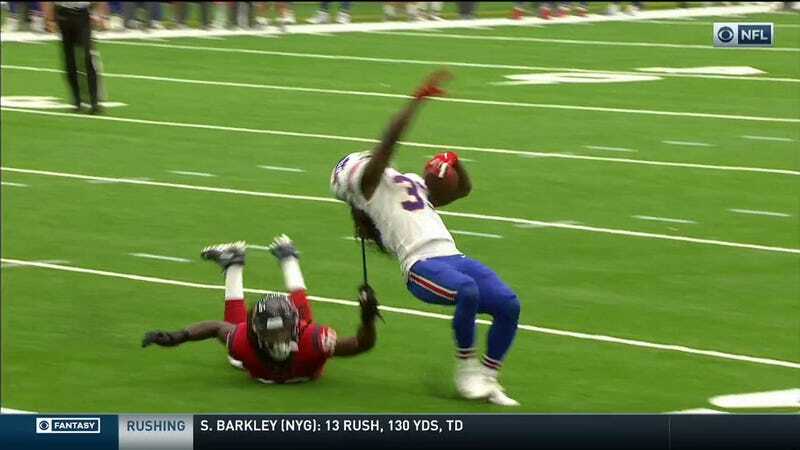 I’m just happy that Jadaveon Clowney didn’t yank Chris Ivory’s dreadlock all the way out. Thankfully, Ivory laughed about it afterwards, so it doesn’t seem to have hurt him too bad.